In tarot readings, the Major Arcana – the part of the deck that did not become our modern playing cards – are not to be trifled with. Whether good or ill, what they portend is usually unexpected and out of the subject’s control. No surprise, then, that this short album delivers so many musical and lyrical surprises, or that its influences from Pavement-era rock coalesce into something original and relentlessly engaging. There are twists within individual tracks and across the album. ‘Pioneer Spine’ is as amorphous as the character it describes, and slow-building songs like ‘No Below’ contrast with others like the loud, distortion-heavy ‘Cash Cab’. But some patterns do emerge, and by the time I reach ‘Gary’, I am so used to the album’s wry tone that I wonder who Gary is and what he did wrong. Similarly, with ‘Fun’, I expect (and am granted) sarcastic lyrics to counterbalance the genuinely fun bassline. The last track, ‘MKVI’, is a longer exploration of sound and a fitting end, but the lyrics hold one more surprise: ‘Medicate me now, I’m slumping / ’cause I’ve got nothing, I’ve got nothing.’ Really, she’s got nothing after all this? I hope this is modesty or artistic license, because I’m already expecting more. Dupuis may be no witch, but some kind of magic is in operation here, and if we can predict anything from this album, it’s that the band’s future work is to be keenly anticipated. 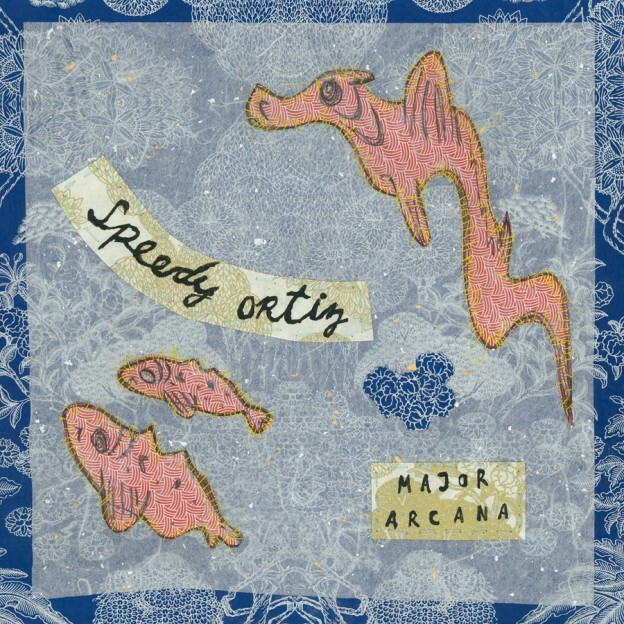 This entry was posted in Reviews and tagged Major Arcana, Speedy Ortiz on August 1, 2013 by Aylin Malcolm. The Music Dept picks at the city’s live offerings. Doomy, beautiful, never-to-be-missed Maica Mia play Year of Glad’s Montreal Sessions closing party. Looking forward to hearing what AP Bergeron sounds like off air. PWYC. One last ride before Babysitter leaves town. UBT: sweatbox guitar infamy. This CKUT blogger knows Slobs and Omegas and says check this out. Others know more and say the same. Don’t know who else is on this bill but I’ve heard these guys practising and I am intrigued. Post-rock-jazz-like-ish experimental. This entry was posted in CKUT programming on August 1, 2013 by librarian.